The team took some time during the holidays to decompress and spend some quality time with their families and are now back and working towards v2!
? 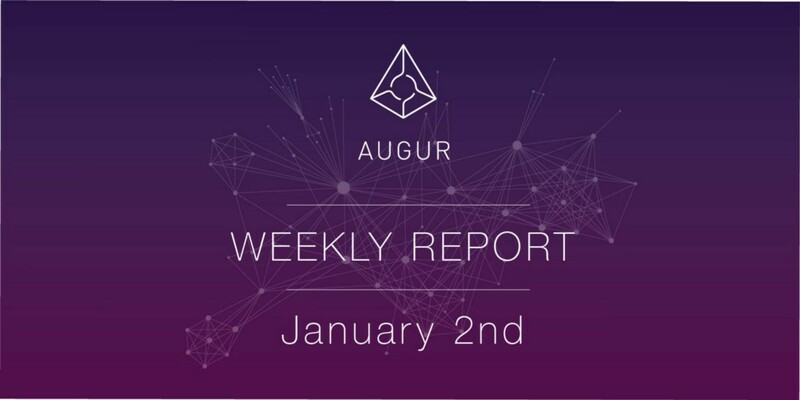 Augur App will automatically detect stalled syncing and attempt to reconnect — this usually gets it out of the normal sticky situations.
? For the die-hard of you running with the built-in light node, you can now see the logs from geth in your augur-app log.
? An updated geth light client from version 1.8.17 to 1.8.20, which contains several light client fixes.
? Better retry handling was added for a smoother sync experience.